It's fine for me. In our company it's one of the terms to speak English. We encourage such adventures like yours and trying to provide as much help as we can. Our location (the distribution headquarters) is in Saint Petersburg, largest city of north-western part of Russia. So i think it's a good place to start. By the way you can buy the bike only at the dealer store. Sadly the factory sell Urals no more by itself. At the moment we're only dealership at SPb. Every motorcycle produced by the IMZ is legal to the USA, so you'll be supported with the every documents you'll may need. And to the final part of your letter, the answer is yes. We can. But such is consultations is not on the our profile, to be honest. So we should plan step-by-step. And I suggest you to start with the visa issuing. Regarding the export papers you should consult with the authorities of the your country. We'll provide with the every thing you may need. I apologize for writing in English, but I have yet to begin my Russian lessons. I am a 69 year old American with 50 years of motorcycling experience. At this blog link, in the posts of 16 and 18 February, you will read of a plan that a fellow touring rider and I are contemplating for the summer of 2014. 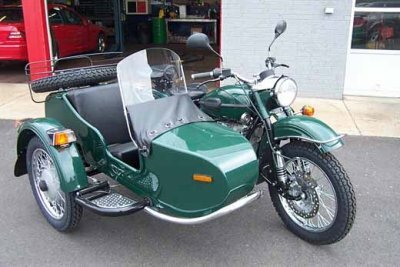 Ideally, it will involve our buying either one or two Ural bikes, and riding them across your beautiful land to Vladivostok, then shipping them to a West Coast port in the U.S.
Is such a plan one that you could help us make happen? 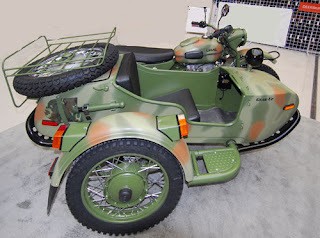 Could we buy new Urals at the factory, of a type that will be legal in the U.S.A? 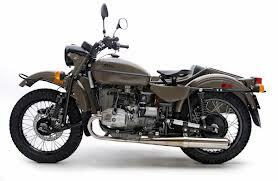 Any help that you could provide regarding a recommended city and dealer at which to pick up a Ural, a sidecar model, its price, a recommended delivery point, registration, insurance, and export paperwork, etc., will be much appreciated.